I was approached by Bread Meats Bread to design their new website. In the initial web design stages it became clear that the existing logo and print material wasn't quite working. I helped Bread Meats Bread develop their strong existing brand. 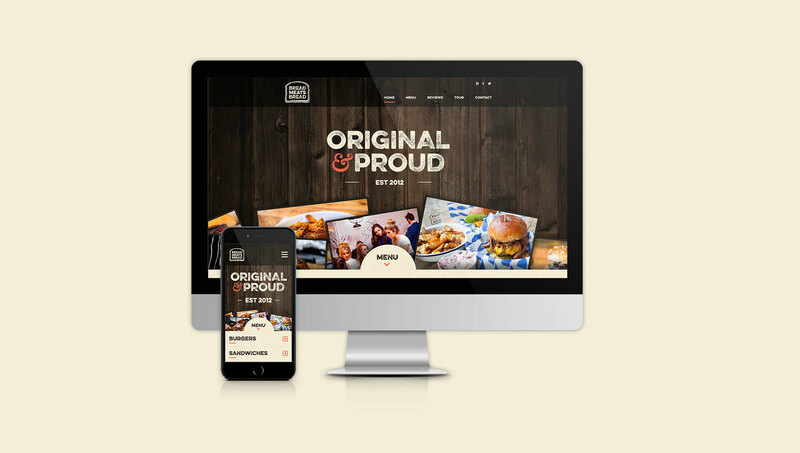 As well as the design of the new website I have also rolled the new brand out across printed materials like menus, business cards, grease proof paper, t-shirts and more.